The Bay of Banderas is a coastline that includes the states of Nayarit to the North and of Jalisco to the South. Puerto Vallarta has it all: natural beauty, the charm of a Mexican village, culinary excellence, culture, vitality, a diversity of activities that can go from a romantic walk along the Malecon, to swing above the forest canopy. 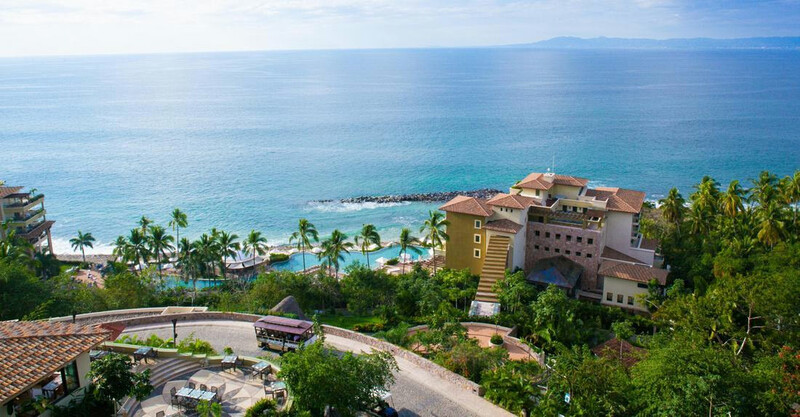 With it’s sunny days and white sandy beaches for a perfect tan, the sound of the Pacific Ocean waves, the breeze, the lush vegetation and the friendly people we don’t hesitate telling you, Puerto Vallarta is a paradise and you have to discover it! There’s a subtle energy in Puerto Vallarta that uplifts and inspires. It’s an ideal place to connect with your sweetheart on a deeper level, a magical and romantic place to celebrate your love. Puerto Vallarta is just perfect for a memorable and unique wedding combined with an ideal honeymoon and that’s why nowadays it’s one of the favorite wedding destinations.